This blog is about one of my favorite things. Food. Food that I make. Food that I love. Food from my favorite places. Food that I try. Food in general. The other night I had a plate full of yummy goodness. What is this, you ask? It was my sister's ultra delicious enchiladas. In my opinion, they are some of the best enchiladas ever. The part that I think is the most fun ( at least to watch) is when she puts the meat into the middle of the tortilla. It's a pretty messy process, so I've never actually done it. I leave the enchilada stuffing process to the professionals, thanks. The tastiest part of the enchiladas is all the cheese that goes on top. I really like cheese, and let me tell you, there is a lot of cheese. 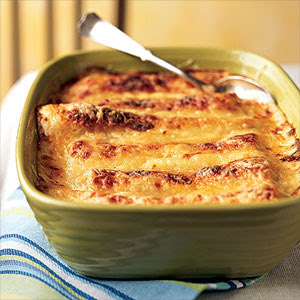 A medium amount of cheese also goes into the middle of the enchilada. It's basically Heaven in your mouth. If you're ever craving Mexican food, I suggest that you try to make some enchiladas. They're very easy to make, and they're very pleasing to the taste buds. I was watching Cooking With the Neely'swith my sister. They were featuring a side dish called Warm Bacon Potato Salad. Normally I'm not a potato salad type of person, but for some reason this spoke to my stomach. (The reason also could have been that I hadn't eaten lunch yet.) My sister and I, after much debating, decided to make the potato salad. We made a list of need ingredients, and headed off to the store. We bought all the ingredients, which we rather expensive. We then went home to embark on our new cooking adventure. 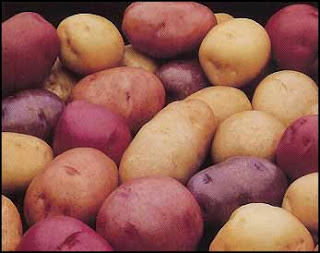 Once at home, we set to work cooking the potatoes, frying the bacon, and making the dressing-type concoction that the potatoes are tossed in. Also in the salad are onions and garlic. I am not a big fan of onions; in fact, I absolutely hate them. I was a little skeptical about the end result. While my sister and her boyfriend, Omar, were making the rest of the lunch, I finished making the potato salad. I mixed all of the ingredients and placed it in a bowl. After everything was done, we sat down to eat. I put some of the potato salad on my plate, and took a timid bite. It was nothing like I had thought it would be. The sauce contains white wine vinegar, and that flavor was prevalent in the dish. There were lots of onions, which made me like it even less. Needless to say, I wouldn't personally recommend it to anyone. 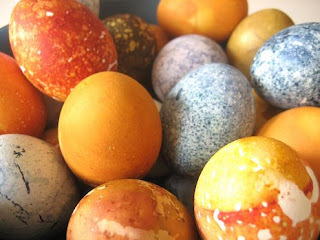 I am very excited for Easter to roll around on Sunday. My family usually has a very big meal on Easter. I can hardly wait. Who doesn't like tons of delicious food cooked by your family? My favorite part of the meal are the devilled eggs and the sweet potatoes. I could eat both of these foods everyday for the rest of my life and not get tired of eating them. I know people say that, but I'm really serious. We usually eat around lunch time, and then eat the leftovers at dinner time. It's quite the plan, I think. I really enjoy all the food that my grandmother makes, and I like getting to spend time with my family. I hope all of you have a good Easter, and that you enjoy it. This past Sunday I went to Indianapolis. It was for my friend's father's birthday. There were almost 25 extra people in attendance, and he was totally surprised. We ate at Famous Dave's, his favorite restaurant. This, in my mind, is quite funny, since his name is Dave. We were all seated before he arrived, and there were too many chairs at the table that I was sitting at. The table was supposed to seat three comfortably, since there was hardly any room on the table. There were four of us at the table, and an extra chair was seated next to me. Another friend came and sat down in the seat, and the waiter brought us our drinks. I inevitably spilled my water all over me in the first five minutes of being there because of the lack of room on the table. For the rest of the time that I was there, I looked like I had wet my pants. Talk about embarrassing. I bet you wouldn't have wanted to sit in front of twenty five other people, plus whoever else was at the restaurant, looking like you couldn't control your bladder. Famous Dave's is a restaurant that serves all sorts of barbecue goodness. I ordered the ribs and beef brisket combo. It was very delicious. They have five different kinds of barbecue sauce on the table so that you can choose which one you want to put on your dinner. Most dinners come with a side item of your choice, plus corn bread and corn on the cob. I tried the mashed sweet potatoes as my side, but it wasn't very good. By the time dessert time rolled around, my pants were still wet. I didn't order any dessert, but a few other people did. They had bread pudding with vanilla ice cream. It looked good, and they said it was quite tasty; however, I did not actually get to try it. We drove home in the pouring rain, but the food was well worth it. If you like barbecue, I suggest that you give Famous Dave's a try. Well, that's at least what my sister calls it. ( I'm referring to the title.) My mom started making this a long time ago. It's one of my personal favorites. That must mean it's pretty spectacular. I'm not really sure where the recipe came from, or what it's actually called though. The other night I went to my mom's for dinner, and I decided to make this cake for dessert. It's really quite simple. All you have to know how to do is mix up a boxed cake mix and bake it basically. ( Well, that, and know how to open jars.) First, you take a box of devil's food cake mix and prepare it accordingly. Next you have to bake it in the over for the directed amount of time. After it is cooked, let it set outside of the oven for about ten or fifteen minutes. This is where the fun part comes in. Once it is cool enough to touch, take the end of a wooden spoon and poke about a million holes in the cake. This is a really good way to take out all your frustrations. Next, take a jar of caramel sauce (the kind used on ice cream sundaes) and pour it all over the cake. After you are done with that, you take a can of sweetened condensed milk and do the same exact thing. The reason we poked holes in the cake is so that these ingredients can soak down into the cake. After you have done this, put the cake into the refrigerator to cool completely. 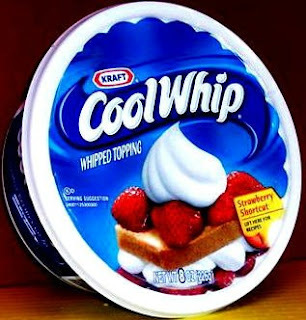 This is necessary for when you put a container of Cool Whip on the top, or else it will melt. After it's cooled, (this will probably take about an hour in the refrigerator) ice the cake with a container of Cool Whip. This is the final step. It is best if you serve the cake cold, so keep it in the refrigerator until you are ready to eat it or serve it. I'm sure that almost every city has their own "Mom and Pop" drive-in. Lafayette does, too. 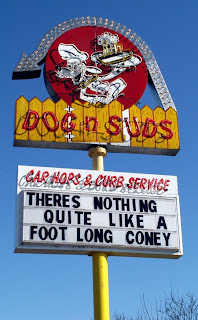 This local drive-in is called Dog 'n Suds. There are two Dog 'n Suds, one located in Lafayette, and the other is located in West Lafayette. (That's right, it is there for your disposal.) Both are located on 52, and are easily accessible. Dog 'n Suds is one of my favorite places to eat in the summer. All you have to do is drive in, park in a spot, and press the button to order. (Well, you also have to decide what you want to eat, too; but that is as hard as it gets.) After you order your food, a waitress will come and serve it to you on a tray that attaches to your window. (It's totally safe, and won't hurt your car, either.) You pay the waitress, but be careful. They only accept cash. After you are done consuming your delicious food, you press another button located on the menu, and a waitress will come and retrieve your trash and tray. They also have an option of sitting outside in an area with picnic tables. At Dog 'n Suds, they sell really yummy food. They are known for their coney dogs, but they have various other toppings as well. I do not like coney sauce, so I usually get a hot dog with ketchup and cheese. The cheese isn't that nasty processed, nacho-like substance. It's shredded cheese, and it makes the hot dog amazingly good. Their hot dogs can be ordered as a regular sized hot dog, and a foot long hot dog. They also sell corn dogs, which are pretty tasty; as well as hamburgers, french fries, cole slaw, and onion rings. To go with your meal, I suggest your order their homemade root beer. It's some of the best root beer that I have ever tasted. If you like it a lot, they have two liter bottles available for you to take home. If you prefer ice cream with your root beer, they have root beer floats as well as root beer freezes. A root beer freeze, for those of you who do no know what that is, is sort of like a milkshake. It has root beer and vanilla ice cream blended together. It's pretty spectacular. Last night I was craving a peanut butter sandwich. However; we're not talking about just a plain, old peanut butter sandwich here. I am talking about a Fluffer Nutter. I walk into my kitchen and get out all the ingredients: bread, peanut butter, and marshmallow creme. A Fluffer Nutter is a peanut butter sandwich with marshmallow creme. It is delicious. For all of you that have never had one, you're probably thinking that this sounds really weird. I would probably be thinking the same thing if I had never had one, either. 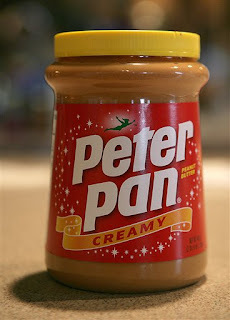 But in all actuality, I have been eating this twist on a regular peanut butter sandwich since I was little. This is something I'm sure you can make in your dorm room, if that's where you happen to be residing. It's very easy to make, and it takes about a total of one minute to produce a good Fluffer Nutter. Anyone can be a master chef at this. If you're feeling crazy, you can also add bananas or honey to the sandwich. Both are equally as good on the sandwich, but the original Fluffer Nutter is best. I'm just a girl who's trying to figure out what I want to do with my life. I like to have fun, drive really fast, and meet new people.